One of the biggest threats facing companies today is an invisible one. It can move swiftly and silently through your organization, staging an attack and causing irreparable damage before you’ve even detected a breach. Despite its invisibility, or, perhaps in part because of it, ransomware is an especially insidious threat to your organization. 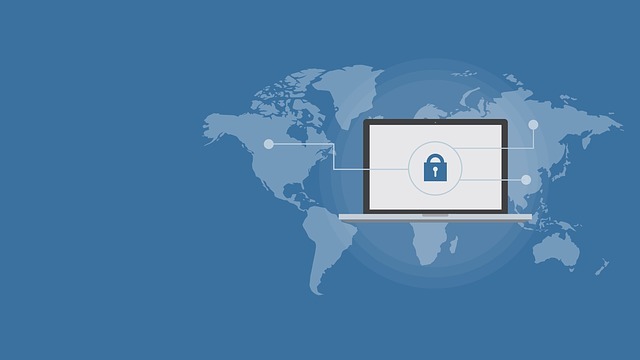 Companies here in the U.S. seem especially vulnerable to these particular network security risks, as nearly half of all ransomware attacks occur here in the Americas. What is ransomware? Microsoft offers the following definition: "Ransomware restricts access to data by encrypting files or locking computer screens. It then attempts to extort money from victims by asking for "ransom," usually in form of cryptocurrencies like Bitcoin, in exchange for access to data." As network security risks go, ransomware is, fortunately, on the decline, perhaps due to the fact that products such as SonicWall Capture Advanced Threat Protection (ATP) have become increasingly adept at thwarting attacks. Capture ATP is currently deployed at more than 30,000 organizations around the world and identifies almost 500 new malicious files each day, taking tremendous steps to protect organizations from falling victim to cybertheft. Not only does SonicWare prevent ransomware from capturing and stealing company data, it also blocks hackers from being able to extract hundreds of thousands or even millions of dollars from its victims. Despite its relative decline, however, SonicWall notes that "data from our cloud-based, multi-engine Capture Advanced Threat Protection (ATP) sandbox noted a spike in unique ransomware variants. While the volume was lower, the attacks were more targeted, unique and difficult to stop." Translation? Ransomware security awareness and prevention solutions are more necessary than ever to stop the increasingly sophisticated network security risks that plague organizations of all sizes. The of-repeated phrase, "With great power comes great responsibility," can be applied to the obligations of modern-day companies. Today's organizations have access to more powerful technologies than ever before, with capabilities the average person could scarcely have imagined a mere twenty years before. But with that power comes the need to use technology - such as computers - judiciously. The best way to be responsible about this use is to employ a combination of practices and technologies that are specifically designed to mitigate network security risks such as ransomware in order to protect your organization's data, technology investment, and reputation. SonicWall is leading the charge in this regard, creating programs and performing research around preventing complex network security risks for more than 25 years. The company says that the threat landscape evolves at such a rate that yesterday's investment in technology could already be insufficient to deal with tomorrow's cyber threats. It helps organizations understand these threats and then combat them using its tailored products and solutions. SonicWall next-generation firewalls provide effective ransomware prevention, with a layered approach on top of its multi-engine cloud-based SonicWall Capture ATP service. Capture ATP scans a broad range of file types to detect advanced threats, analyzes them in parallel engines, blocks them prior to a security verdict, and rapidly deploys remediation signatures. The result is higher security effectiveness, faster response times, and a lower total cost of ownership. In addition, when corporate endpoints and mobile devices connect remotely to corporate resources using public or unsecure networks, SonicWall Secure Mobile Access (SMA) routes the traffic through your network firewall and Capture to ensure protection from ransomware attacks and other unknown threats. To block ransomware from mobile devices, SonicWall Secure Mobile Access shares session details with the firewall for further analysis. It's a complete end-to-end solution that protects against one of the most serious network security risks. To bring this critical capability to our clients, ICS is an authorized SonicWall reseller, and ICS also delivers the specific product expertise needed to help your organization maximize your investment. Contact us today to learn more about SonicWall and our world-class IT support services. Get a FREE On-site Network Security Evaluation Today!